The mantra, ‘If it ain’t broke, don’t fix it,’ doesn’t apply in the automotive world. So competitive is the market that auto makers constantly invent the next-best thing. Take Audi’s middle-child Q5. At the time of writing, it is the best-selling SUV from any luxury brand in Canada, according to data from Good Car Bad Car. It’s also Audi’s best-selling model — still. It’s essentially the same vehicle unveiled in 2008 and yet, as of 2016, it’s more popular than ever. The Q5 is far from broken, but Audi is fixing it anyway. 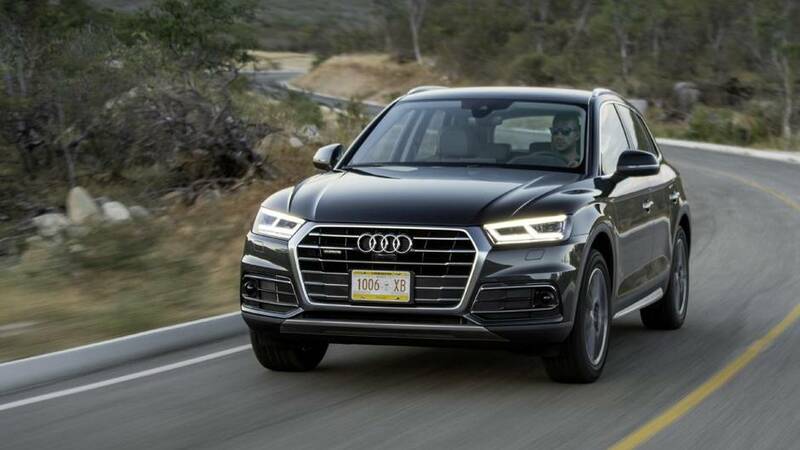 An all-new Q5 arrives in spring next year, redesigned from the ground up. It’s a risky proposition; arguably, it has nowhere to go but down. The sheer popularity of the Q5 often meant Canadian customers had to wait to get one. Audi opened a huge new factory in San José Chiapa, east of Mexico City, hoping to quench the global thirst for SUVs. Hurtling along a sandy trail to test the Q5 in its now-native land, the Q5’s cabin remained calm and quiet despite the dust storm all around us. An Audi engineer said there’s new acoustic glazing on the glass. The wheels would twitch sideways for a split-second, before the all-wheel drive system somehow found traction again. The only thing slowing us was the dust. It enveloped the car so completely it was impossible to see more than a dozen metres ahead. A lean-looking cow with sharp horns emerged from the haze, refusing to share the road. All of this was to demonstrate Audi’s latest Quattro all-wheel drive system, called Ultra. Under normal circumstances, the engine drives the front wheels. It only sends power to the rear when necessary through two clutches. 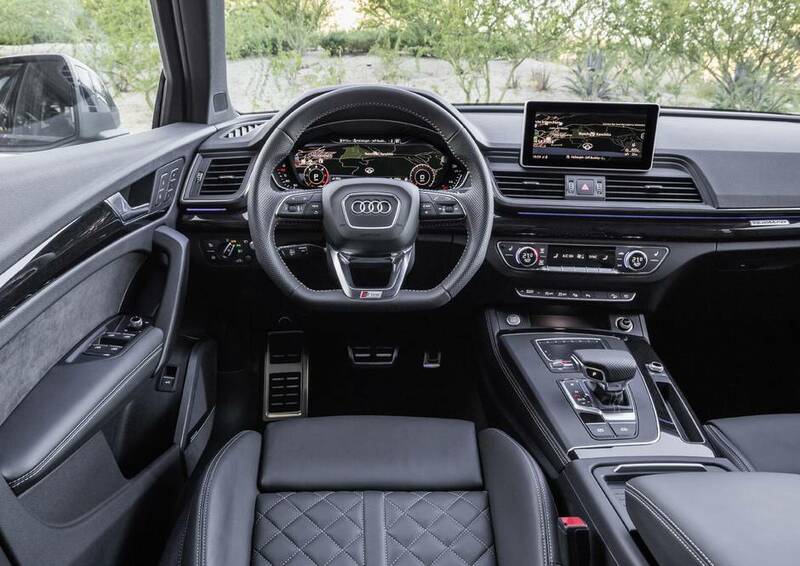 An Audi engineer said the new system reduces fuel-consumption by about 0.3 litres per 100 kilometres, or more if you’re doing mostly highway commuting or city driving. In practice, the new system works seamlessly. I never felt the shift in power to the rear wheels, only the excellent traction on sand and added push out of corners that all-wheel drive provides. The next best thing about the new Q5 is its plush air-suspension. The old model had been criticized for its stiff ride. The new air suspenders are buttery smooth, able to raise the car 45 millimetres to clear rough terrain or lower it to improve aerodynamics and handling. The catch? It’s not available, even as an option, on the Q5 in Canada. Our cars will have steel springs as standard with adjustable dampers as an option. Air suspension will likely be available later, only as a selling-point on the pricier SQ5. That’s a shame. 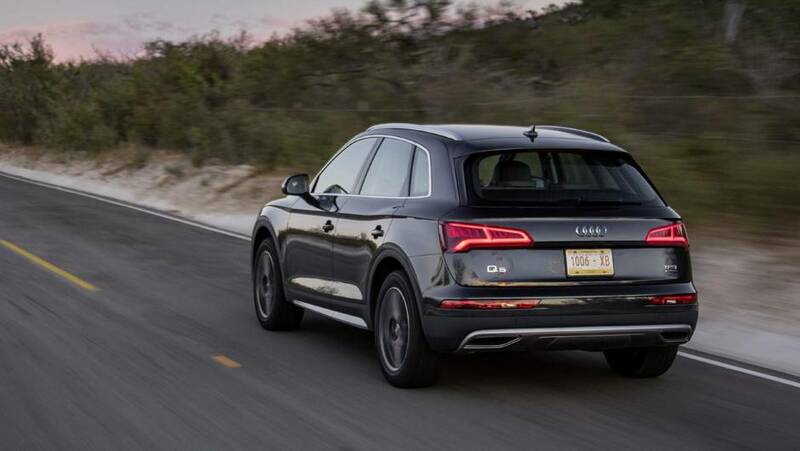 We did not have an opportunity in Mexico to test the Canadian-spec Q5 with steel springs, so judgment on the crucial question of its ride quality is reserved. There’s also less engine choice than before. The emissions-cheating scandal that has beset Volkswagen Group — of which Audi is a part — means any chance of a new diesel engine in the Q5 is gone. The old 3.0-litre gas V-6 is gone too. The engine is an improved version of the 2.0-litre turbocharged four-cylinder. But given the fact it’s got 252 horsepower, nearly as much as the old V-6’s 272, most won’t miss the bigger motor. Has Audi broken its best-selling Q5 with this all-new model? Should they just have left it well alone? The competition is desperate to take the Q5’s throne, so it couldn’t simply rest on its laurels. It needed to evolve. And for the most part, evolution is what Audi has done here: a more efficient all-wheel drive system, a better engine, and a much better cabin. Revolution would’ve been too big a risk. A question remains about ride comfort, but it’s likely the Q5 will continue to reign over its luxury SUV rivals. The gap, however, is closing. If anything, the new Q5 is too conservative of a step forward. Most buyers might not even notice it’s an all-new car. But maybe that was the point? Looks: Clearly Audi didn’t want to mess with the look of the Q5 too much. The biggest change is the new single-frame grille. It’s much more pronounced than before. The headlights are narrower, better-looking LEDs. But the overall design isn’t as coherent as before. The mixing of curves and straight lines along the side can look awkward from some angles. Interior: The cabin gets a makeover, bringing it in line with rest of the Audi range. The “virtual dashboard” is available, putting all information — including navigation — right in front of the driver on a huge, crisp, colour screen. Audi latest MMI infotainment system is present too, with a centre screen plonked high in the middle of an otherwise clean, minimalist dash. Performance: Audi claims the car is as much as 90 kg lighter than before, and with a stiffer body structure. This should improve handling, but as mentioned, that verdict will need to wait until we can drive a Canadian-spec car with steel springs. The 2.0-litre engine is as impressive as ever, working well with the quick-shifting gearbox. There’s not a surplus of power, but it’s a good compromise for fuel economy. Technology: The leap in technology since the previous model came out in 2008, and even the refresh in 2012, has been huge. The 2018 Q5 feels lightyears ahead of the old one in this regard. It has the latest semi-autonomous driver assistance features, including adaptive cruise control with traffic jam assistance. It’ll almost drive itself — so long as you’re monitoring it with your hands on the wheel — at speeds of up to 65 km/h. 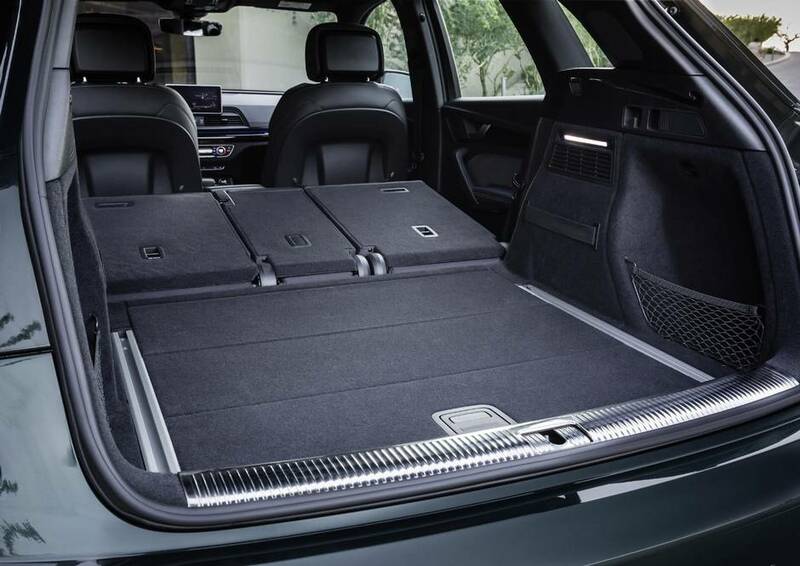 Cargo: The new Q5 is longer and higher, with a 12mm stretched wheelbase compared to the previous model. 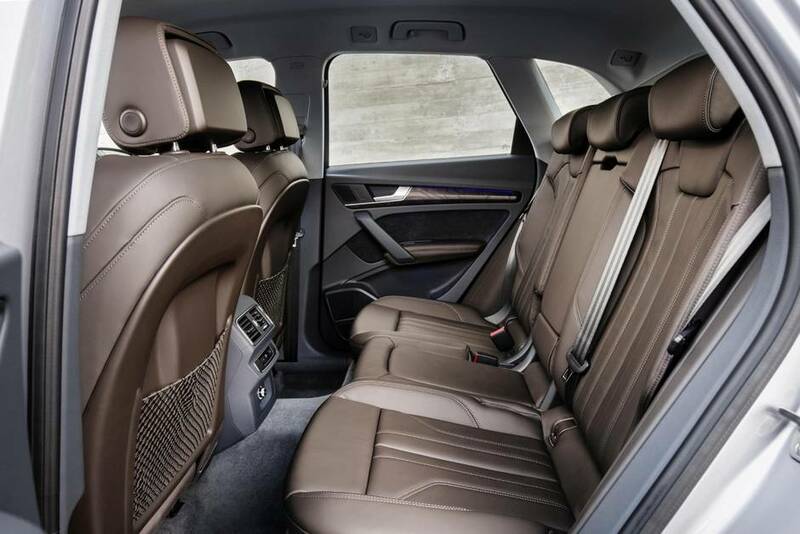 It’s not any wider, but rear seats passengers still benefit from more knee and shoulder room. The trunk is also 10-litres more capacious than the old one.